Need to empty a Cesspit or Septic tank? Book a tank empty in Hampshire. If you are a homeowner in a semi rural location and aren’t on main drainage you may need to regularly empty your tank or cesspool to prevent it overflowing. Alton Pump Services offer a full waste water management service for domestic and commercial properties. Our professional, experienced team will ensure your tank is quickly and cleanly emptied. Call: 01420 561661 to book. If your property is in a rural location around Alton in Hampshire, like Four Marks, Alresford as well as Medstead, Ropley, Chawton. Including Beech, Beech, Bentley, Liss or Surrey like; Haslemere, Farnham, Crondall, Tilford, Churt, Elstead or Frensham – it’s likely that you will have off mains drainage. This means that you will have a self contained drainage system which will take the waste from your property. It will usually be connected just to your property, but occasionally the system might be shared with other neighbouring properties. Waste from your property’s toilets, sinks, showers and kitchen appliances will run through a network of pipes from your property until they meet with a main sewer, typically under a nearby main road. Your local Water and Sewage company will be responsible for the pipe work that runs from the boundary of your property. DOES YOUR TANK EMPTYING SERVICE REMOVE SOLIDS AS WELL AS LIQUIDS? Septic tanks need to be emptied regularly to prevent solid waste building up where it can’t be compacted anymore. Some tank emptying service providers will filter the extraction and only remove liquids. If this continues, over time the tank fills up with solids which as a result can damage your septic tank system and cause costly damage. 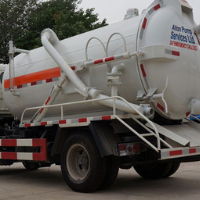 Contact Alton Pump Services to have your tank professionally emptied. Call 01420 561661. SEPTIC TANK OR CESSPIT – WHAT’S THE DIFFERENCE? A septic tank is an underwater sedimentation tank used for wastewater treatment as a result of biological decomposition and drainage. A septic tank can come in all different shapes and sizes. Older tanks may be brick built or concrete, modern ones are made of reinforced plastic. Septic tanks differ to cesspits as they are not sealed. Bacteria inside the tank breaks down the solid waste decomposing it more rapidly allowing the liquids to separate. As a result that they drain away through the gaps in the brickwork into the surrounding soil. Next waste separates into three different layers. Middle layer of separated waste water leaves the tank via soakaway system. Solids are broken down due to the bacteria. A soakaway system is a network of slotted or perforated pipes, these allow the waste water to percolate through the sub soils. Any remaining contents of the tank are removed at regular intervals by a tank emptying company. Put simply a cesspit is a holding tank for waste. Waste does not soak away – it stays there until the tank is emptied. There is no treatment of the waste that goes in, it simply separates into three layers within the tank. Because of the gas build up in the pit an exhaust is used to allow the gases to escape. As a result of the toxic, untreated nature of the waste, cesspits pose a greater threat to the environment if they fail. 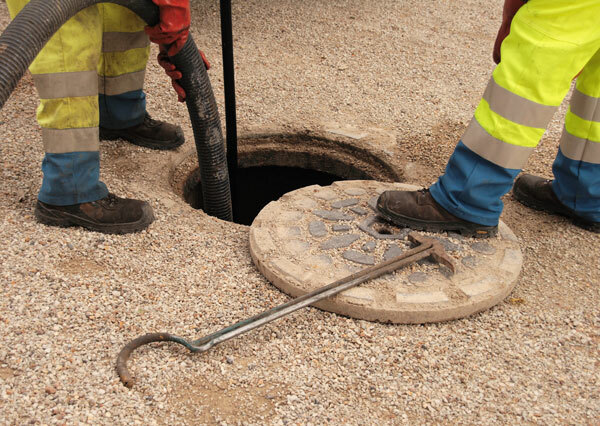 Cesspits require more emptying than septic tanks which can become expensive, so consequently they are not as common. How often should I empty my tank? This of course depends on the size of your tank and the number of people using the facilities. On average it’s advisable to empty your tank at least annually if you are living in a household of around 3-4 people. You should book your tank empty accordingly. What happens if I don’t empty my tank? The decomposition process in the tank slows down, consequently waste starts to back up rather than drain away. Eventually you may find your washing machine runs slower or your toilet flush is weak. As your tank is out of sight it is easy to forget about it. However the most obvious sign that your tank needs emptying is overflow and water-logging in the area surrounding your tank – noticeable by the foul smell! Tanks need to be emptied regularly to prevent solid waste eventually building up where it can’t be compacted anymore. As a result, toxins and antibacterial substances build up killing the vital bacteria that break down the waste. Some tank emptying service providers will filter the extraction, because of this they only remove liquids. If this continues, subsequently over time the tank fills up with solids which can damage your septic tank system and cause costly damage.